On 20. Feb­ruary 2016, Heaven Solu­tions par­tic­i­pated at the con­ference of the national IT and Business student orga­ni­zation FII Practic. Major national and local players of the IT industry gathered in the Palas con­gress hall to com­mu­nicate the impor­tance of soft skills. The topic was wisely chosen as many IT firms have come to realize that in today´s business envi­ronment tech­nical know-how itself is not the only driving factor any longer. Espe­cially given the case of cross-border oper­a­tions, out­sourcing, inte­gration, and cul­tural adaption the individual´s inter­per­sonal skills are reaching a new stage of rel­e­vance. Of course, we could not miss this oppor­tunity to share and con­tribute to this important matter. Pascal Spahni, our Business Devel­opment Manager, rep­re­sented Heaven Solu­tions at the FII Practic con­ference. Given his vast expe­rience of working for a major food man­u­fac­turer in Switzerland and his position as an Officer in the Swiss army, he posses a tremendous amount of knowledge he wanted to share with the new gen­er­ation of IT pro­fes­sionals. During his pre­sen­tation, he explained, the stu­dents how an appli­cation process works and how an appro­priate CV, as well as a moti­vation letter, has to be written. Espe­cially the use of real life cases resulted in some eye-opening dis­cus­sions that allowed the stu­dents to under­stand the impor­tance of these mostly over­looked soft skills. 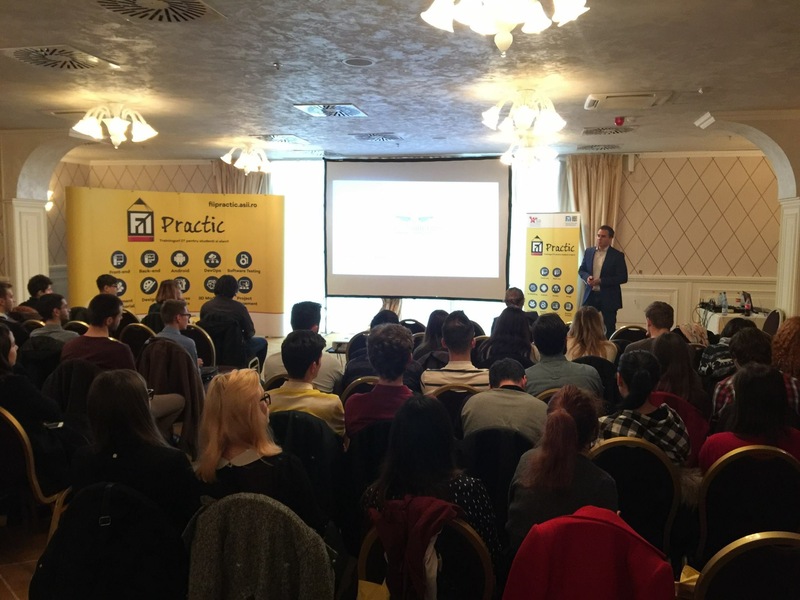 Looking back at the event, we believe that we managed to add sig­nif­icant value to many stu­dents per­sonal approach when it comes to the recruitment process. We are con­vinced that many firms are facing the same problems of rejecting appli­cants simply on the base of a poor sales pitch, missing the oppor­tunity to hire a very tal­ented can­didate. After all, the demand for qual­ified labour in the IT industry is steadily growing, and the whole industry can take advantage of a more informed and qual­ified next gen­er­ation. If you want to know more about the rel­e­vance of soft skills, or you did not have a chance to attend the con­ference, Pascal Spahni would be more than happy to answer any ques­tions you might have. If a simple con­ver­sation is not enough for you and you want to get the chance to position yourself in a work envi­ronment that not only allows you to learn from expe­ri­enced IT pro­fes­sionals but also have a mentor who helps you to grow your per­son­ality, Heaven Solu­tions is offering intern­ships for various job roles. Napoleon Hill once said that the starting point of all achievement is desire. At Heaven Solu­tions we have gathered people who pursue their dreams day in, day out.